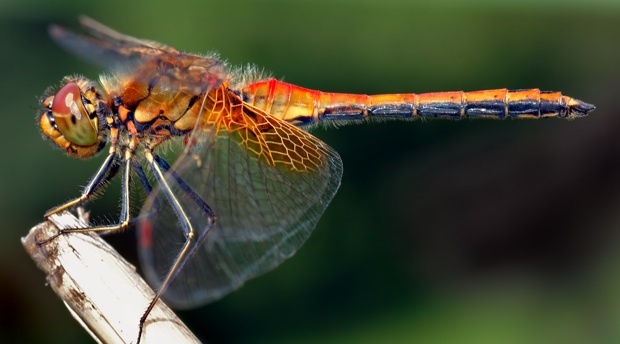 To make aerial drones even smaller, scientists are developing tiny aerial vehicles with innovative flapping wings based on those of natural insects. Research at the University of Oxford is playing a key role in the development of revolutionary insect-sized vehicles with micro-cameras, suitable for different purposes like helping in emergency situations considered too dangerous for people or zipping in to conduct covert military surveillance. Currently, the smallest of state-of-the-art fixed-wing unmanned surveillance vehicles are around a foot wide. The incorporation of flapping wings is the secret to making the new designs even smaller. To achieve flight, any object requires a combination of thrust and lift. In manmade aircraft, two separate devices are needed to generate these: engines provide thrust and wings provide lift. This limits the scope for miniaturizing flying machines. But an insect’s flapping wings combine both thrust and lift. If human-made vehicles could emulate this more efficient approach, it would be possible to scale down flying machines to much smaller dimensions than is currently possible. Bomphrey also explains how he would apply this knowledge to small flying machines: “[This] means that new vehicles could be customized to suit particular uses ranging from exploring hostile terrain, collapsed buildings or chemical spills to providing enhanced TV coverage of sports and other events. Key to the work is the calculation of air flow velocities around insect wings. This is achieved by placing insects in a wind tunnel, seeding the air with a light fog and illuminating the particles with pulsing laser light–using a technique called particle image velocimetry. The team’s groundbreaking work has attracted the attention of NATO, the U.S. Air Force and the European Office of Aerospace Research and Development. The research is expected to produce findings that can be used by the defense industry within three to five years, leading to the development and widespread deployment of insect-sized flying machines within 20 years. Bottom line: Richard Bomphrey is exploring the development of small aircraft the size of insects and using insect-like wings for various purposes, including surveillance.